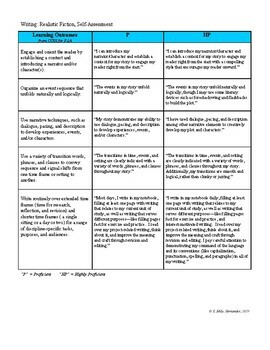 Students can assess their proficiency with CCSS-based criterion for writing realistic fiction with this 1-page handout. Best practice would include carefully reading through the tool as a whole class or in groups, unpacking any unclear language or phrases before using. The more familiar standards language is to our students, the more clearly they understand the criteria by which we measure their growth and progress.